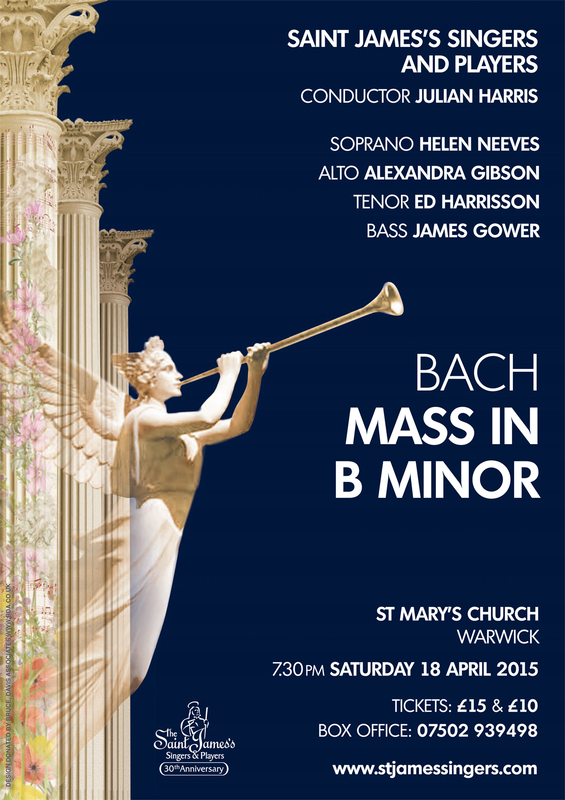 On Saturday 18 April the Saint James’s Singers celebrate their Thirtieth Anniversary with a performance of Bach’s Mass in B Minor at St Mary’s Church, Warwick. 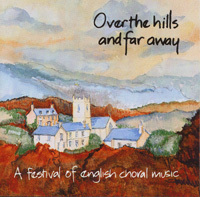 This massive work stands at the very pinnacle of achievement in the composition of sacred choral music. 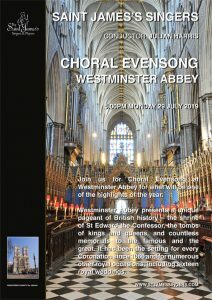 It is a work of monumental scale, quite impractical in a liturgical context; yet its sheer vastness is surely a reflection of the depth of its spiritual devotion. The work was not originally composed as one piece but as four separate works starting with the Missa – first performed in 1733 during the festival of the Oath of Allegiance to the then new King of Poland, Augustus III. At what point Bach decided to expand the Missa into a full-blown setting of the Catholic Mass is not known. But it did not assume its final form until Bach’s last years, perhaps by 1748. 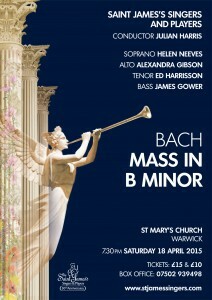 Bach did not give the B minor Mass a title. Instead, he organized the 1748–49 manuscript into four folders, each with a different title. That containing the Kyrie and Gloria he called 1. Missa; that containing the Credo he titled 2. Symbolum Nicenum; the third folder he called 3. Sanctus, and the remainder, in a fourth folder he titled 4. Osanna – Benedictus – Agnus Dei et Dona nobis pacem. The first publication of all four parts together was in 1845, calling it the “High Mass in B Minor” (Hohe Messe in h-moll). But the adjective “High” soon fell from common usage. However, the prepositional phrase “in B Minor” survives, even though it is in some ways misleading: only five of the work’s 27 movements are in B minor, while twelve, including the final ones of each of the four major sections, are in D major (the relative major of B minor). This is for information only and is not an indication of seat availability. I want to book one ticket for the concert on the 18 April but seemed unable to book this online. I wanted to book B16 at £15. Is booking by phone the only way to do this. Please advise. Yes, you will need to ring our Ticket Secretary, Penny, to purchase a ticket – our website is not set up for online booking. She always has her phone with her so you shouldn’t have any problems contacting her.